Successfully Added Tronsmart Vega S95 TV Box - 4Kx2K, XBMC/Kodi, Amlogic S905 CPU, Mali GPU, Android 5.1.1 to your Shopping Cart. 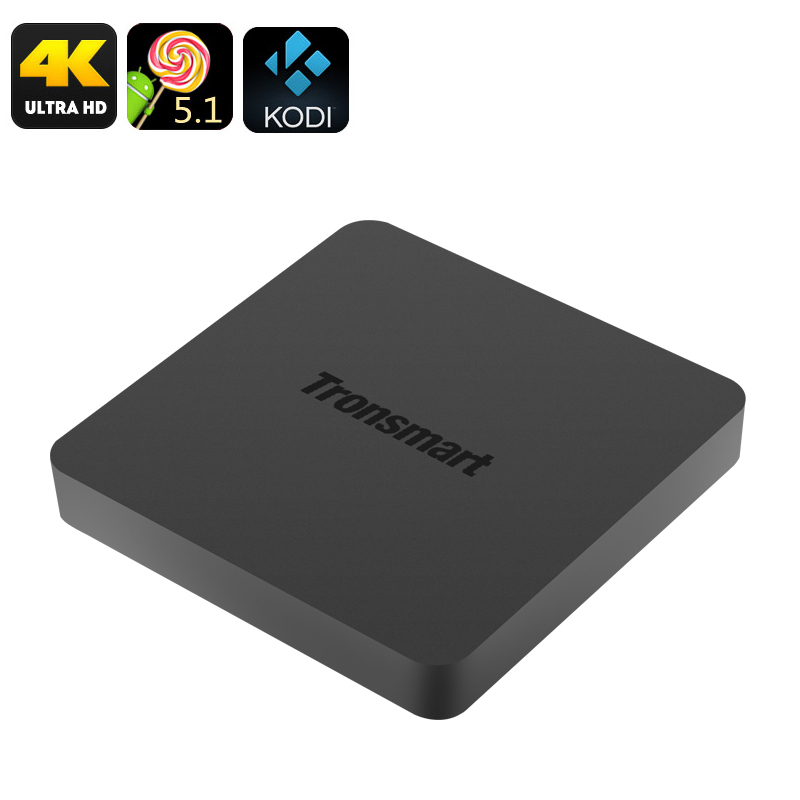 Experienced Android TV box makers Tronsmart have introduced a new model, the Vega S95, it comes with all the great features you would expect from this leading brand but at an affordable price. The Tronsmart Vega S95 Pro is powered by the increasingly popular Amlogic S905 processor that runs alongside 1GB of RAM which makes it well suited to streaming movies and the Penta Core ARM Mali 450 GPU give a silky smooth performance so you can enjoy serious gaming as well. Coming with XMBC / Kodi version 14 preinstalled means that this media centre is ready to go, ready to go right out of the box. Just connect the power, plug it into your TV, connect it to your internet via the built in Wi-Fi or LAN port and you will have access to the fastest growing media play with hundreds of channels and countless TV shows, movies and entertainment at your fingertips. With 4K support this TV box will get the best out of your UHD TV and is fully future proof, letting you enjoy all the ultra high definition content you desire. It has the Android 5.1.1 OS and 8GB of internal storage. With SD card slot, 3 USB ports, SPDIF and Ethernet port you have all the connectivity you should need for extra storage and peripherals. The Tronsmart Vega S95 Pro TV Box comes with a 12 months warranty, brought to you by the leader in electronic devices as well as wholesale TV Boxes..